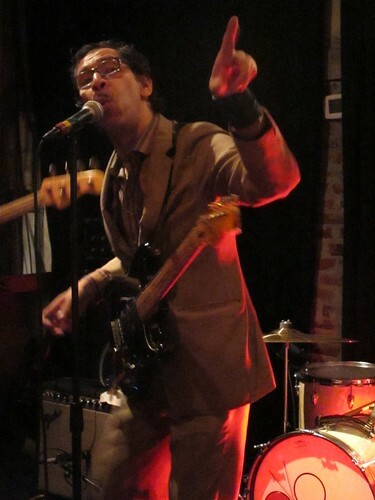 If you were not at Comet Ping Pong on Friday night, then I am sorry to say that you missed it: the first great set of 2011. 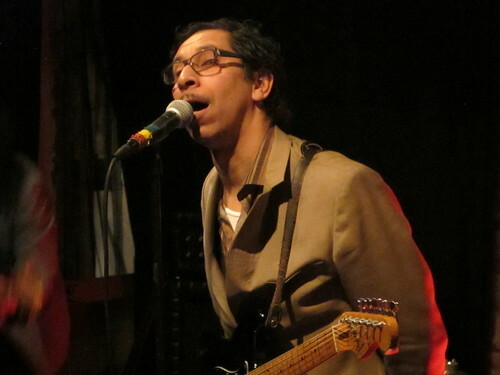 Kid Congo Powers has a lot of accomplishments in his 30+ year music career. He founded The Gun Club, helped The Cramps define their punk meets 60′s Psych sound, and played guitar in Nick Cave and the Bad Seeds to name a few. These days he is fronting his own group called The Pink Monkey Birds, who are based right here in DC. Hopefully this means we will see a lot more local shows from Kid Congo in the months and years to come. Everyone needs to experience the brilliance of this throwback rock-n-roll show up-close and personal! I am not going to go crazy dissecting this show. To do so to something this insanely fun just doesn’t feel appropriate. Besides, I was too busy doing the twist and dancing the crusher to really break it down with my usual analysis. 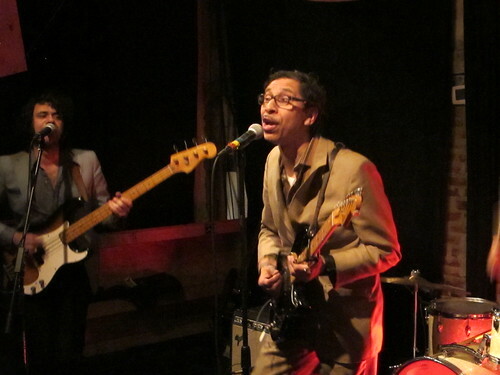 Kid Congo’s set was composed of mostly songs from his album “Dracula Boots”, a few new singles, a sing-along rendition of The Cramps “I’m Cramped” and an epic version of The Gun Club’s “For The Love Of Ivy”. 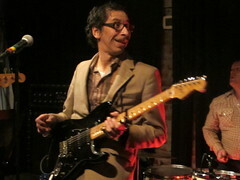 Kid Congo Powers had as much weird charisma and bizarre facial tics as the many famous front men he has worked with in the past. He introduced every song with hilarious, odd, drug-referencing, creepy little tales; you were either in on the joke or you weren’t. My favorite was “We need to rename this town L.S.D.C.”! 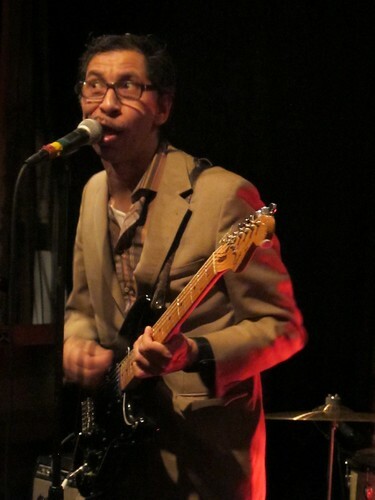 He frequently conducted the audience’s applause by raising a finger to signal ‘this is a pause in the song, not the end’ – it was pretty amazing to see how quickly he got command over the room (especially considering how many folks were there primarily for the Chain & The Gang record release party). By set’s end everyone was dancing and singing along to the two covered psych-punk classics but really it was the set full of Kid Congo originals that got us there. 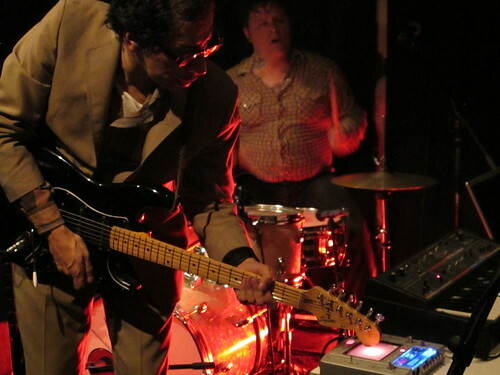 Kid Congo Powers & The Pink Monkey Birds were tight as hell and put on such a proficient display of classic rock-n-roll through an acid-haze filter that their charm was irresistible. I tripped hard off of this set all weekend and every time I checked in with my friend who saw it with me, we both got excited about it all over again. An old school rocker of a show of this caliber doesn’t come along often. Do not miss out the next time these guys play in town!